Looking back over the years, I can admit that I have picked a lot of bad paint colors. 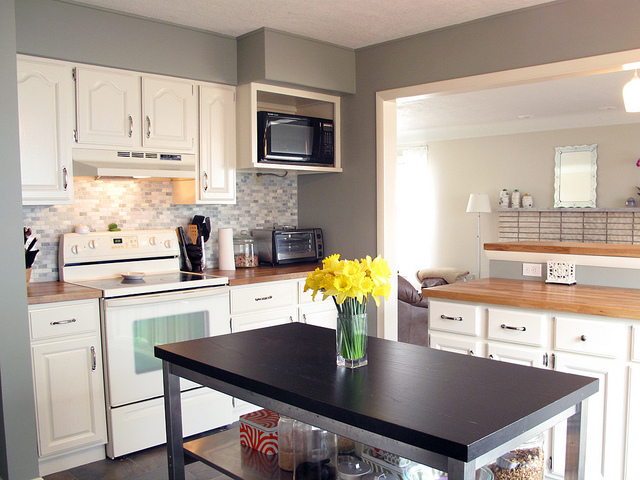 In my very first apartment, I thought a yellow kitchen would be bright and cheery. I had to buy a six foot ladder to reach the top of the walls, and after a very long weekend, I stood back and admired my handiwork. It was yellow all right. Bright Big Bird Yellow. I could see it glowing from the street even when my curtains were closed. In my next apartment, which was just right upstairs from the first one, I decided I wanted a cozy red living room. I chose slightly better this time. It wasn’t an offensive red, but wow, was there a lot of it. I also painted the bedroom light blue, which was probably a little bit more baby blue than I cared to admit at the time. A couple moves later, I was living in Phoenix in my very first house. It was a 1939 little ranch house in one of the central historical districts. When we moved in, every wall was white, and I vowed to change that immediately. I’d been watching a little too much Christopher Lowell at the time and had picked up some interesting ideas about paint colors and where they should be applied. I decided to paint the main living and dining area a dark terra-cotta, which wasn’t a terrible choice given the peachy tile floors, and the adjacent hallway a dark teal. I then painted the bedroom a deep periwinkle and the office a bright orange (I guess I didn’t learn my lesson after the yellow kitchen). Looking back at photos of that house, I really can’t even begin to guess what I was thinking. It was actually ok in person, but not what I would do now! By the time we sold the house two years later, I was over super intense color. I wanted my house in Pennsylvania to be light and bright. 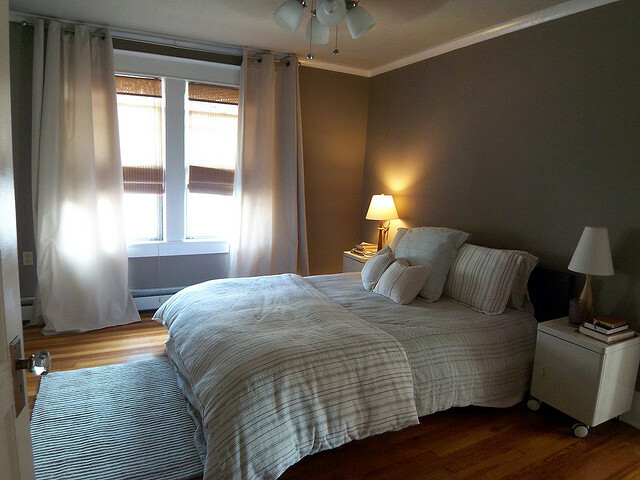 I wasn’t feeling very confident at the time and chose most of my neutrals came from the Pottery Barn catalog. As we lived there longer, and I got more into design, I gained more confidence in choosing colors on my own. Sometimes you just need to take a risk. 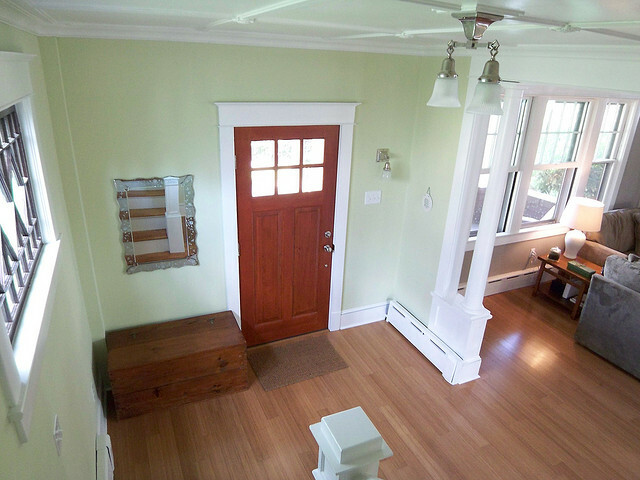 My main risks in that house were a lilac mudroom and powder room, a yellow green (celery) foyer and a pink closet. I actually loved all those colors while I was living in the house, but my ex had them repainted for resale. Eight years later, I would never paint anything purple or pink. Maybe green, but not as bright. It would definitely have a healthy dose of gray in it. The green foyer…I think it was SW Celery. Since then, I’ve transitioned into interior design, and I’ve found myself a constant student of color. After studying it for so long, I’ve developed a process for choosing paint colors. When I’ve deviated from this process, which I did in my current dining room and my guest bathroom, I tend to choose a color that is less than optimal. When I stick to it, even though it can extend the process, and I get impatient, I get much better results. If I’m working for a client, I share the process with them. This is an old photo, but our current house is much more neutral. 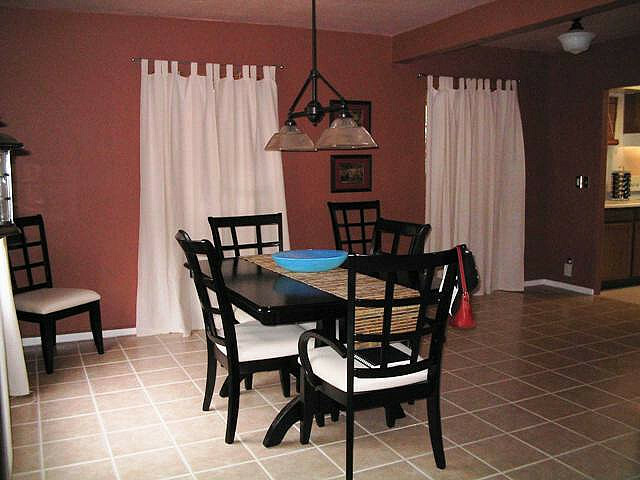 I think many people also struggle with getting paint colors just right and end up wasting time and money repainting. Or they live with a color they suspect isn’t quite right, sometimes for years. 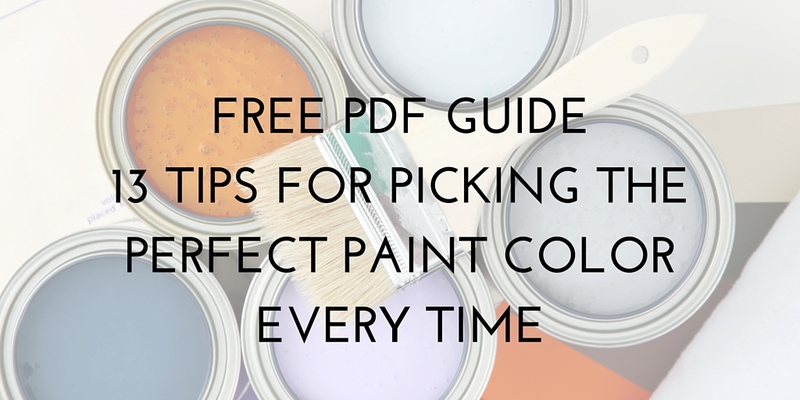 So, I decided to round up all of my tricks into a handy PDF guide that you can download – 13 Tips for Picking the Perfect Paint Color Every Time. I plan to follow this process soon when I repaint my living room and possibly my kitchen and dining room. I’ve found that when I follow this process exactly, I am more confident in my decision and end up with a color I really love. Let me know what you think about the guide in the comments. 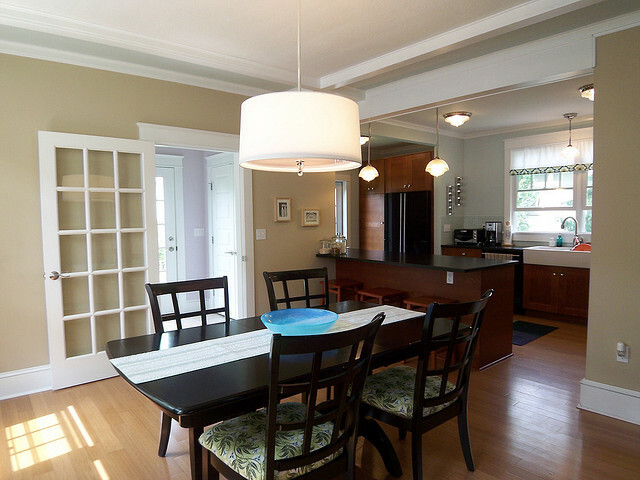 Have you ever gone horribly wrong with a paint color?